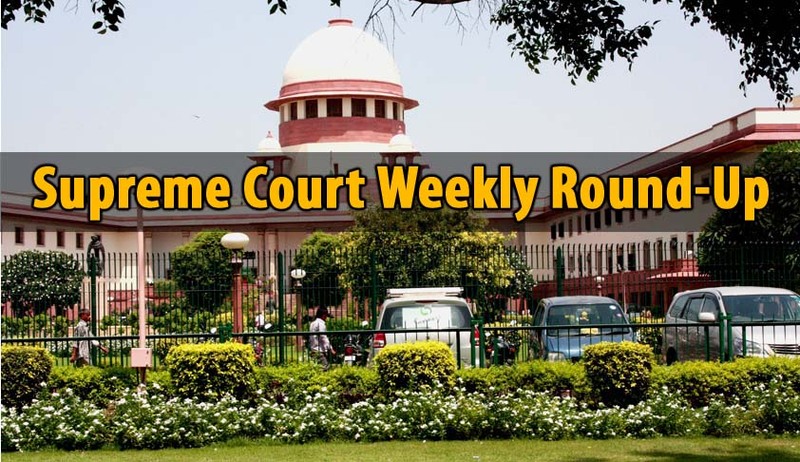 In a recent judgment, the Supreme Court of India reprimanded a petitioner for filing a Writ Petition under Article 32 of the Constitution, during pendency of a Writ before the High Court for the same relief, and imposed costs of Rs. 1 lakh on the petitioner, terming it as an abuse of process of law. Dismissing a suit for adverse possession filed against Bangalore Development Authority, the Supreme Court in Bangalore Development Authority Vs. N. Jayamma has reiterated that the period of the adverse possession can only be counted from the date of purchase of the property and the period for which the original vendor held the property, and the date of Mahazar could not be counted. Division Bench of Supreme Court has referred a matter involving Interplay between the amended 15A and 15J of the SEBI Act before a larger bench. Bench comprising of Justices Kurian Joseph and R.F. Nariman in Siddharth Chaturvedi vs. SEBI said that it does not subscribe to the views in SEBI vs. Roofit Industries Limited. Chief Justice T.S. Thakur scrapped the social justice bench, which was set up by his predecessor Justice H.L. Dattu in December, 2014. On enquiry about non-listing of matters, the CJI reportedly informed Senior Advocate Colin Gonsalves that the Bench no longer existed. The Bench was set up to deal specially with the matters relating to society and its members, to secure social justice, one of the ideals of the Indian Constitution. The All India Muslim Personal Law Board has filed an Interlocutory Application in the Triple Talaq case in Supreme Court. The AIMPLB has submitted that the issue of Muslim Personal Law is cultural issue, and it is inextricably interwoven with Islam. It has argued that it is the issue of freedom of conscience, guaranteed under Article 25 and 26 read with Article 29 of the Constitution.